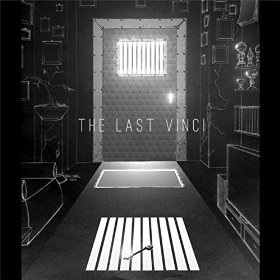 This radio-friendly rock album from Turin/Cork based The Last da Vinci came out on 2nd March according to the Press release but we’ve had it before — it came out sometime last year, we think. It’s a hard album to review: they’ve put a lot of love and effort into making this record and in places it’s perfectly acceptable melodic rock. However, they’re up against the old “why should you buy this when there are better albums out there” syndrome. If you like Continental heavy rock — particularly symphonic metal (which it isn’t) — it might be worth a listen because the Italian singer’s vocals give it a European flavour, although in places he does sound a bit like Tenacious D. (Ironic that the D — a joke — will tour arenas while at The Last Vinci, a proper rock band, will probably get no further than Academy Three). The Review Corner plays in bands, so it pains us to be critical but the overall sound is that of accomplished amateurs and no more. Singer Alex Vinci says he has no desire to be famous and that selling records is just a bonus; this is probably a good job. On the plus side, it reminded us of former Live front man Ed Kowalczyk. Perhaps a bigger budget is needed. If you like European rock (or US Band Live) and want to support honest, working musicians you should give it a go. It’s clean, proficient melodic rock.